Trent University’s Bata Library had a grand opening on Friday (November 16th) to celebrate its renovated space. Community members, donors and partners including the Innovation Cluster were present to celebrate the launch. 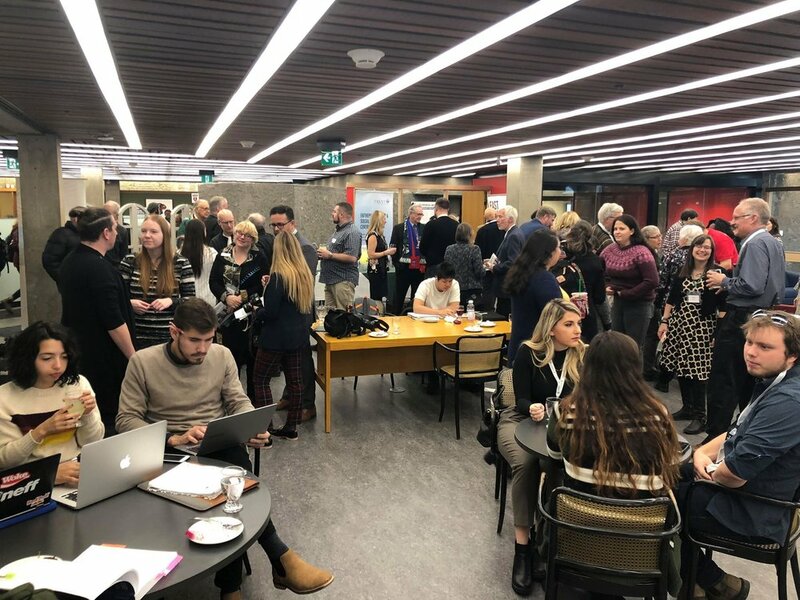 The library is now a host of the Entrepreneurship & Social Innovation Centre, a collaboration between the university, FastStart Peterborough and the Innovation Cluster. ﻿The Innovation centre, which is located at the main entrance of the Bata Library, will focus on supporting students aspiring to enter entrepreneurship right on campus. An Innovation Specialist from the Innovation Cluster will be on site every Friday, and over time skills training, workshops and other events will be implemented. “Through this new centre, students at Trent University will be able to access an environment of entrepreneurship on campus, and have mentorship available to kick-off their initial business planning,” says Michael Skinner, President & CEO, Innovation Cluster. "The new Entrepreneurship and Social Innovation Centre will allow Trent students to have access to community resources on campus that will both bring awareness to entrepreneurship opportunities as well as implement skills training,” adds John Knight, Manager, Research Partnerships, Trent University.